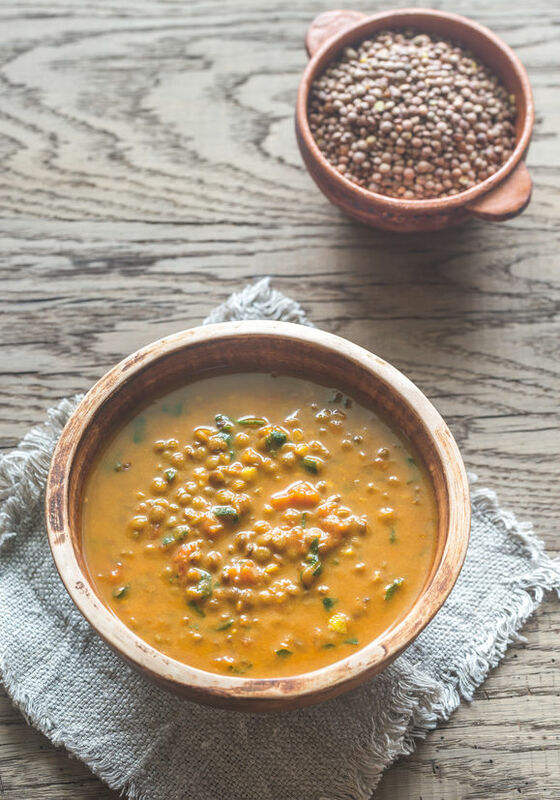 Place the lentils in a strainer and gently rinse until the water runs clear. Drain as much water out after the last rinse as possible. Mince the garlic and add it to the pot along with the salt, turmeric, coconut milk, and 2½ cups of water. Give it a gentle stir to make sure everything is mixed. Bring the pot up to a boil over medium-high heat (use a lid to make this faster). Once it is boiling, remove the lid and let it boil gently for about 20-25 minutes or until most of the liquid is absorbed. When most of the liquid is absorbed, turn off the heat and let sit for about 5 minutes to continue to absorb. Taste and season with more salt if desired.